After church, one evening in mid-December 2018, I was watching an interview between Bobby Conner and Paul Keith Davis. In the middle of their discussion, they mentioned the great cloud of witnesses, and the pivotal role that the saints of old have in testifying to the work that God did in their day, and to His Faithfulnes, to us. I paused the video and was considering that, and all of a sudden, I had this internal vision where someone said, “Look at this!” as a large gold coin was stuck in front of my face. It was about 4-5 inches in diameter and had the imprint much like an Egyptian engraving. 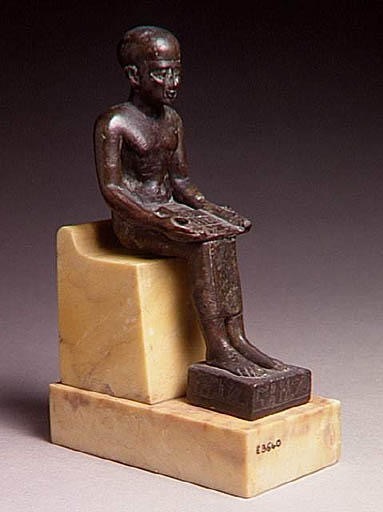 It was the image of a man seated on a throne but with no crown. Before him, a smaller figure kneeling before him. 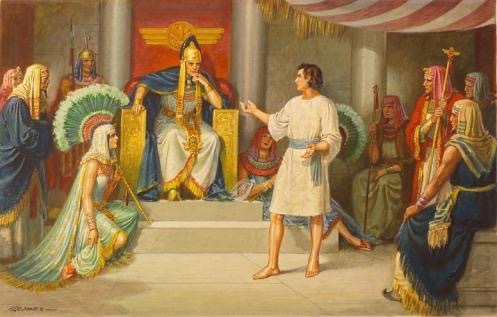 I immediately knew that it represented Joseph reigning in Egypt. 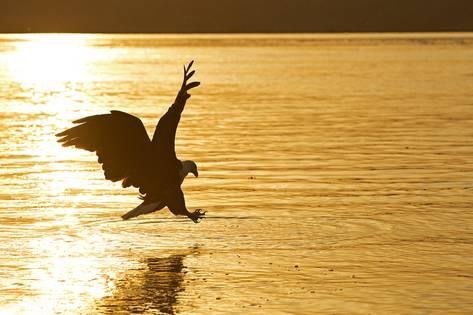 On the backside of the coin was an eagle above a river. The image changed into a shield with vertical stripes. I don’t yet have an immediate understanding of that side, but I want to share what I saw. I asked Jesus what I was seeing, and I heard, “The assignment you’re given is to see the people of God sealed with the wisdom of Joseph”. I asked, then, “What is the wisdom of Joseph?” The Lord replied, saying that the Wisdom of Joseph is to take on the impossible assignment and let God’s Wisdom be revealed, to invite God to speak to the impossible, and to bring people the Word of the Lord. In the same way, when we are presented with the impossibilities of the people to whom we are called, we are to have this response: “I may not have the answer, but I know the one who does. Give me your impossibility, and I will give you the Word of the Lord.” This is the assignment that we are to embrace as full-grown, mature daughters and sons of God. 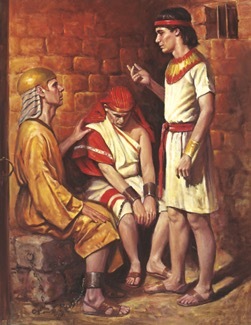 It is this response that placed Joseph and Daniel into their positions of authority, in order that they could speak the wisdom of God to the hearts and minds of kings. When we do this, it will be the Word if the Lord that brings peace and satisfaction to their souls, and favor on God’s servants. Now, when I first went to write this down, I looked at the time, and it was 23:23 (I have my watch set to military time). I jotted down the beginning of what I saw in my spirit, and went back to listen to the rest of the video I was watching. Immediately, one of the speakers quoted Proverbs 23:23, so I know that God wanted me to make note of it: “Buy truth, and do not sell it; buy wisdom, instruction, and understanding.” God was making it clear that there is a price that you and I can pay for wisdom. This made sense when I considered that I was given a coin in the beginning of my experience. Here is what we know from Joseph’s story: The wisdom that he walked in came from the training he received from his father, Israel, but it also came through his relationship with God in the midst of each of Joseph’s trials. From the Pit, to Potiphar’s house, to Prison, God worked on Joseph and refined him. Each step of the way was preparation for the Palace. 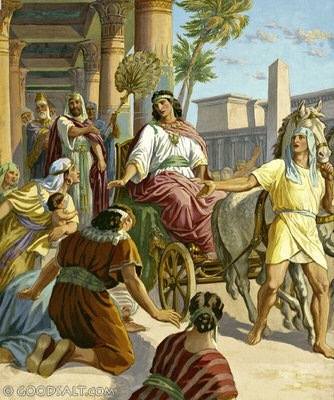 Joseph being led in a chariot before the people. God works in each of His kids’ hearts as trials come into our lives. That’s why James writes “Consider it all joy when you face various trials:” Because we all face these trials, we all qualify for the next verse: “If any of you lacks wisdom, let him ask God, who gives generously to all without reproach, and it will be given him.”‭‭James‬ ‭1:5‬ ‭ESV‬‬. Thus, the price we pay for the Wisdom of God is asking Him, even in the midst of the trials we go through. His heart is to give us the Wisdom that we so desperately need so that we can fulfill the calling He has given us, and He doesn’t think less of us for asking Him. A mighty man of God once taught people that when they encountered a problem, difficulty or trial to quickly declare, I believe I receive the Wisdom and Understanding of Go in this test, trial, temptation, situation, circumstance or relationship. WHEN I have done this I have been helped with seeing or hearing a solution. Then doing that word with the corresponding action in His timing brought relief, comfort, joy and success so many times. Lord, grant us grace to humble ourselves, ask for Wisdom and receive it by faith and act accordingly with You. Thank you! according to 1 John 5:14-15. ” 14- And this is the confidence which we have before Him, that, if we ask anything according to his will, He hears us. 15- And if we know that he hears us in whatever we ask, we know that we have the requests which we have asked from him..